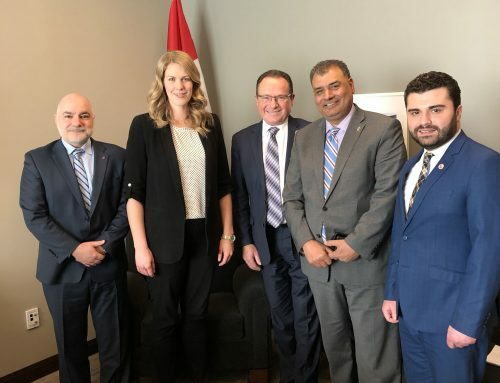 OTTAWA – This week, the Armenian National Committee of Canada is joining the Rwandan Tutsi community in Canada and around the world to solemnly commemorate the 25th anniversary of the Genocide against the Tutsi in Rwanda. “As we commemorate this tragic page in our collective history, we remember the great sacrifices made by the Tutsi people to fight for and preserve their heritage, dignity and culture and to pass it on to the future generations that will certainly continue to uphold the great legacy of their forefathers” said Shahen Mirakian, president of the ANCC. After the Armenian Genocide, the Jewish Holocaust and the Ukrainian Holodomor, the world said never again, but time and again, the international community failed to react and prevent future atrocities from taking place. “Today, we are fortunate and profoundly grateful that we live in a country like Canada, where the suffering of genocide victims is not forgotten, and their legacy continues to be upheld and respected” said Mirakian. “The Tutsi’s of Rwanda endured great suffering and unimaginable atrocities, but they persevered with honour and dignity, demonstrating great resilience and commitment to live, rebuild and prosper” concluded Mirakian. Today, on the 25th anniversary of the Genocide against the Tutsi in Rwanda, the ANCC stands in firm solidarity with our brothers and sisters in the Rwandan Tutsi community and together say “Never again”.